1997 Ferrari 550 Maranello Introduction Brochure Rodeo Drive 1997. 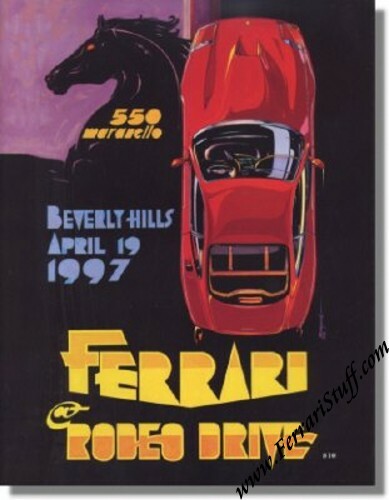 This is one of the original brochures / booklet that were issued at Rodeo Drive, Beverly Hills, California on April 19, 1997 when Ferrari North America celebrated 50 years Ferrari AND introduced the then-new Ferrari 550 Maranello. It was a grand event with both Piero Ferrari and Sergio Pininfarina attending it.